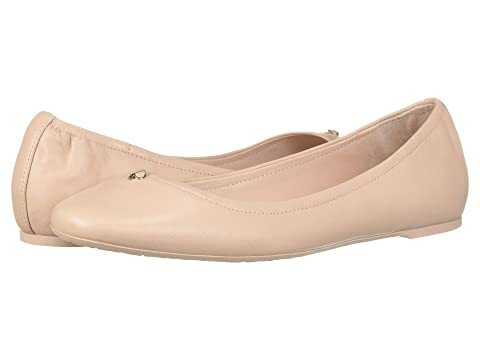 The Kora from Kate Spade New York® is the perfect simple flat to go with your classic style. Round-toe silhouette with Spade charm accent. We can't currently find any similar items for the Kora by Kate Spade New York. Sorry! Pretty shoes and comfortable! Didn’t care for how they looked on my foot. Returning for that reason. I know that shoes that are gathered at the ankle/heel always make blisters. Even though these look like they have a smooth heel area, they have a slight gather which hurts. Ive worn them for several days all day long with tons of walking (door to door campaign) and they hurt. I have to wear bandaids which is a pain.